XOXO Jes - Canadian Entertainment News: Low numbers at the Montreal auditions of Big Brother Canada - is Big Brother Quebec to blame? 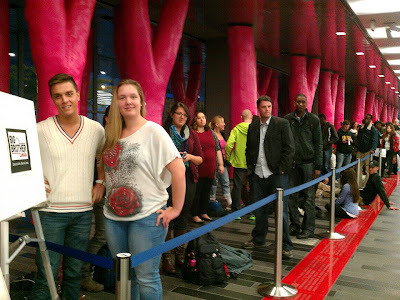 Low numbers at the Montreal auditions of Big Brother Canada - is Big Brother Quebec to blame? The auditions for Big Brother Canada happened today in Montreal and Halifax. I had an insider at the Montreal auditions and he said that there were way less people there than at the Calgary and Vancouver auditions...in fact, he said there was only about 350 people there which is less than half of either of the previous places. In Halifax the number was just over 400. What is the deal Eastern Canada? The poor showing may have something to do with the fact that it is Thanksgiving weekend and people have family stuff to attend to - or maybe there just aren't as many fame whores out east as there are out west. If it is the latter, it is a shocking revelation. Another shocking revelation, and quite possibly a reason for the poor showing in Montreal - Big Brother Quebec. Yes, that's right. Did you know that there was a Big Brother in Canada already? I mean, it was in Quebec which means it was only played on Quebec stations and all in French, but this is news to me. Supposedly it sucked, but at least they had one! Crazy. Learn something new everyday folks. And thusly WHY they shouldn't be put on BB Canada. They don't want to be a part of Canada, then why audition.